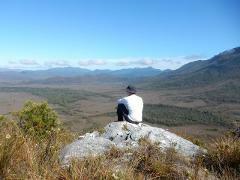 Moonlight Ridge traverses the Southern Ranges of Tasmania, which are close to the Southern coastline. The major peaks along the Southern Ranges are Mount La Perouse, Pindars Peak and Precipitous Bluff, which gives commanding ocean views. The Walls of Jerusalem National Park in Tasmania was proclaimed in 1981 and it is an alpine wilderness made up of mountain tarns, lakes and dominant peaks. 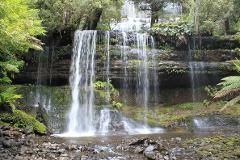 This part of Tasmania is known as the Central Plateau. Your destination, the magnificent white quartzite dome of Frenchman's Cap rises 1443 metres over the Franklin – Gordon Wild Rivers National Park and is approximately 200km north west of Hobart. 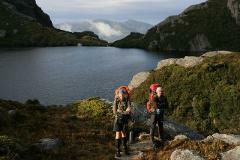 Lake Oberon sits at an elevation of about 800m in the Western Arthur Range of Tasmania. It is the most photographed and spoken about lake on the range and it is deserved of a visit to see why. 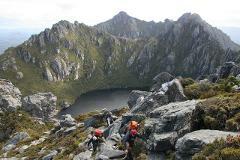 This amazing hike takes in the best of the Western Arthur Range without having to do the full traverse. 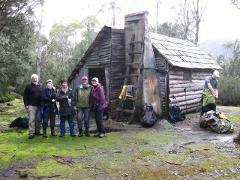 We walk the range as circuits from Scotts Peak Dam, up Moraine A and down Moraine K then back to Scotts Peak Dam. You will begin your 9 day 85km journey with a light aircraft flight into the airstrip at Melaleuca then travel from west to east along wilderness beaches and over dramatic peaks. 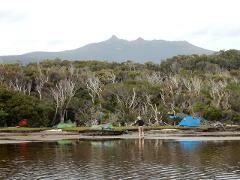 Mt Field was proclaimed one of the 1st Reserves in Tasmania in 1916. Mt Field is home to the tallest flowering trees in the world, The Swamp Gum, and it has amazing waterfalls and beautiful glacial tarns. A trip to Tasmania would not be complete without visiting Maria Island. 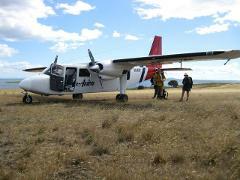 There are 2 options of accessing the island, by ferry or by our scenic charter flight. This tour option is our ferry option. 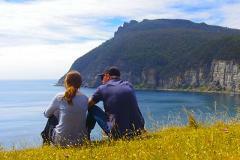 A trip to Tasmania would not be complete without visiting Maria Island. There are 2 options of accessing the island, by ferry or by our scenic charter flight. This tour option is our flight option.